Ronnie McCoury of the Travelin' McCourys at the Old Settler's Music Festival in Driftwood, Texas, April 16, 2010. 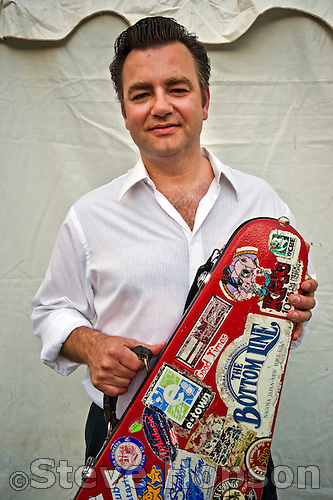 Ronnie McCoury (b. 1967) is a mandolin player, singer, and songwriter, and the son of bluegrass musician Del McCoury.